Here's a way to ensure you're smiles are authentic when you open your gifts this holiday season: Help people give the gift of test prep by sharing this Social Work Test Prep Gift Card link with them. Want to give the gift of high-quality, rigorous social work exam prep to the exam-prepper in your life? Same link. Social Work Test Prep offers over 500 unique practice test questions, each complete with thorough rationales and suggested links for further study. SWTP works. See our testimonials page for a sampling of the glowing feedback we receive all the time about the SWTP program. Happy Holidays and good luck on the exam! We're very pleased to announce that we've added a third practice exam to the Social Work Test Prep offerings. That means SWTP now has over 500 practice questions, rationales, and suggested study links awaiting your attention. (That's 500 not including the bonus exam, which is about to grow as well). Thanks to everyone who helped out with the exam, including a handful of active test preppers who served as beta testers last week. At least one beta tester has already passed the licensing exam. And this from another #3: "I love the test!" Along with the option to purchase the exam alone, we've added another bundle--our best deal yet. With Exam Bundle #3, you get all three ASWB exams, priced as of this writing at $90. That's just $30 per exam! Now, more than ever: Save money, get practice, get licensed. To get started and see the various exam and bundle offers, sign up and go to your account page. A new flurry of email from pleased, now-licensed SWTP customers. Congratulations, everyone! I got 127 Qs right; 101 were required to pass...I learned so much using [SWTP] that I continue using it even after I passed! It keeps me sharp and thinking and it has become a fun exercise for me! (I must have gone off my rocker from all this.) Thanks for a great product!" I passed my exam in October! I firmly believe that the practice exams were a key to my success on the exam. Having been out of school for over 10 years and not used to the whole studying thing anymore, I thought the test questions were very helpful in my review of information and helped me identify areas that needed more attention. Thank you! SWTP questions greatly helped because they look like what the exam is asking. It was great to review so many sample questions and the links attached. Since busy working full time, it was difficult to read old study books/manuals. This was more timely and engaging. It helped organize the content so I felt better prepared. I took my test and passed on the first try. This prep test helped me so much! Congratulations, all! And thanks for writing! For more SWTP reviews see our testimonials page. Add your review by emailing info@socialworktestprep.com. To get started with SWTP practice exams, sign up! Test Preppers: If you're preparing for the exam, blog your test prep under the SWTP banner. 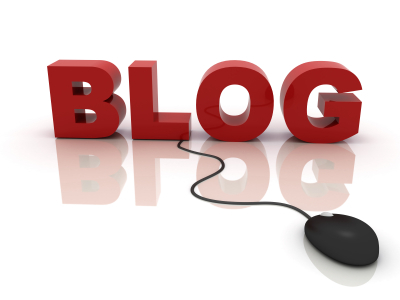 Blogging as you go is a great alternative to making flash cards or just staring at pages of information. Free practice plus per-post payment. Licensed Social Workers: We have an open, part-time position for a blogger-slash-social media manager. Blog exam-prep content in this space and help get the word out about SWTP on the web. Salary dependent upon experience and performance. Write info@socialworktestprep.com with your CV and blogging history (if any). We look forward to hearing from you. Social workers only please.